S I G N T H E P E T I T I O N ! ​IS WORKING! Charges against over **650** of the 800+ water protecters have been DROPPED! Please Sign & SHARE! 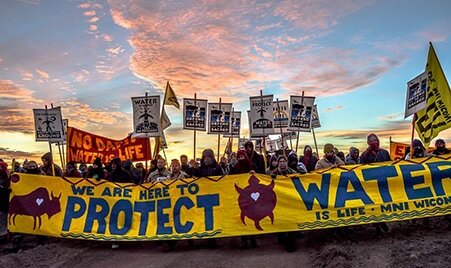 We can't leave the water protectors to the tender mercies of the North Dakota courts! Also, endorse the resolution for a Public Bank of Santa Rosa! The city cannot bank with local banks. Local banks can only insure accounts up to $250,000. So now that the City is leaving Wells Fargo, their only option is to switch to JPMorgan Chase, an equally reprehensible corporation, until the city can get its own public bank up and running. We need to gather endorsements for a public bank. More info here. It's not over for Standing Rock! The battle has moved from the camps to the courthouse. The Dakota Access Pipeline (DAPL) still endangers current and future generations of the Standing Rock Sioux tribe. We still need to resist Big Oil. The fight is far from over, and your support is needed. Join us! Divest! And join our divestment team! Support Public Banking in Santa Rosa which is the ONLY way that institutions will be able to divest -- AND it can reduce the cost of rebuilding infrastructure up to half! 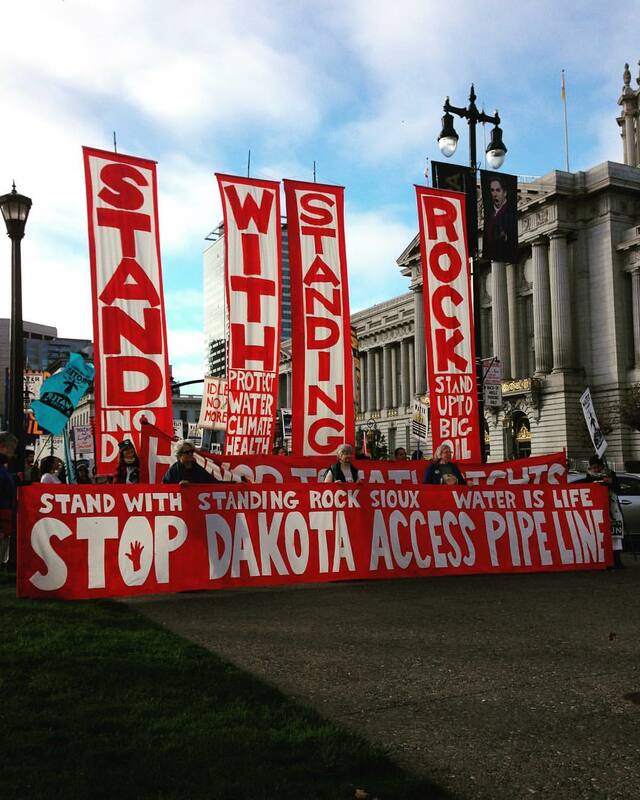 Fundraise for Standing Rock legal defense. Continue fossil fuel resistance, support drawdown, and accelerate transition to clean energy! The Facebook feed is temporarily down. In the meantime, you can go directly to our Facebook page for updates.